Taco Ranch Chicken - our favorite! SO easy and this tastes delicious! Only 6 ingredients - olive oil, Ranch dressing, taco seasoning, lime juice, vinegar and chicken. Great on its own or on top of a salad or in tacos and quesadillas. We make this at least once a week! 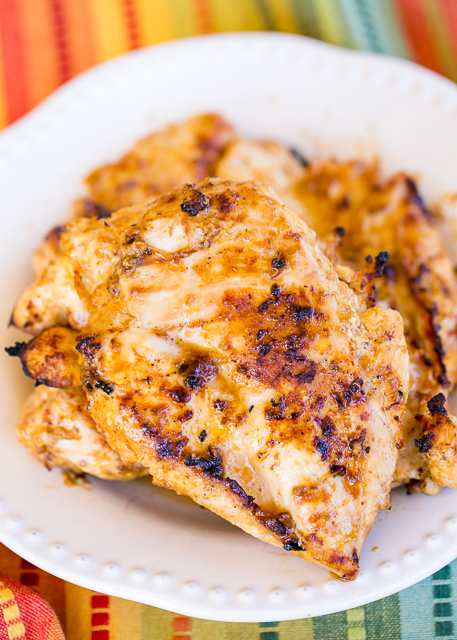 Such a quick and easy Mexican chicken recipe! Cinco de Mayo is just around the corner and we are busy testing out recipes for our celebration! This Taco Ranch Chicken is definitely going on the menu! It was SOOOOO good!!!! Chicken marinated in ranch dressing, taco seasoning, olive oil and lime juice. We served this with some rice and black beans, but it would also be great chopped up in tacos and quesadillas!! 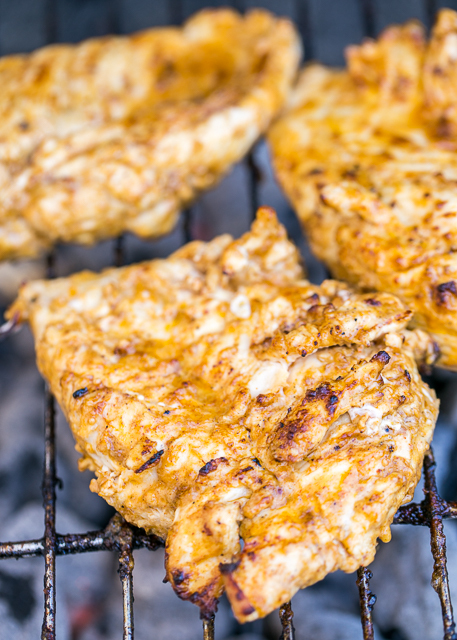 The key to evenly cooked grilled chicken is to pound your chicken breasts to an even thickness. 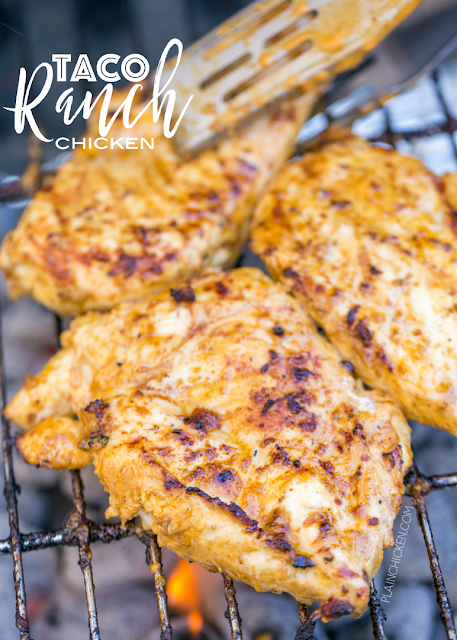 We do this every single time that we grill chicken and it is always tender and juicy. We like to let this Taco Ranch Chicken marinate overnight, but if you don't have that much time a few hours will do just fine. This chicken was tender, juicy and full of great flavor. I cannot wait to make this again for Cinco de Mayo!!! In a medium bowl, stir together the olive oil, ranch dressing, taco seasoning, lime juice, and white vinegar. Pound chicken breast to 1/4" thickness. Place chicken in the gallon size ziplock bag, and pour marinade over chicken. Zip up bag and refrigerate for at least 8 hours or overnight. Preheat the grill for medium-high heat. Grill chicken for 8 to 12 minutes, or until the chicken is no longer pink in the center, and the juices run clear. Do you use the already prepared ranch dressing or the ranch seasoning dry packets. Already prepared ranch dressing in the bottle. Enjoy! Wondering about doing this in the oven or stove top instead of grilling. Suggestions? Wondering about converting this to oven or stove top. Suggestions?? @PlainChicken any suggestions on oven cooking this recipe? Pan sear the chicken for about 3 minutes on both sides. Finish off in the oven - 400ºF for about 10 minutes.